"I have enough Jewellery" - said no one ever. Jewel is an irreplaceable asset of anybody's life. Here is a read that can give you a deeper understanding of how your jewels are made the way they are. Sharing here, the journey of one of the renowned jewellers who have existed since 1927, who have added beauty to many lives. Out of hundreds of thousands of jewellers that have been existing and emerging, it is impossible for any individual to identify who could be trusted, who provides quality jewellery or to even find who could provide the jewellery at the best price. Introducing one such jewellers who have been creating quality jewellery, that are unique and are sold at an accurate cost. Kishan Lal Jewellers & Sons, one of the most trusted jewellers of India since 1927, was started by Late Shri Kasturchand Soni who envisioned to serve quality to his customers and build a relationship of trust. The vision was furthered by his son, Late Shri Kishan Lal Soni, who gave jewellery a new definition by fine craftsmanship. With the guidance of Late Shri Kishan Lal Soni, his younger son Shiv Kumar Soni, expanded the business with more showrooms and began to add more creativity to the designs. “I started to learn about jewels and jewellery from my father from the age of 17, when I was also pursuing my education. Every moral value that we have carried till date is inherited from my father. To build trust and to create the best and quality jewellery, at the best price have been the most important values we have ensured throughout the journey. It has been about 30 years I personally started engaging myself in the business and we currently have branches in Bikaner, Mumbai and our latest launch - Delhi. The branch at Bikaner was the first one and people have always considered us as their family jewellers since the beginning. It's a pride to know that we are the only Government approved jewellery valuation experts in Bikaner. The approved valuer is chosen on the basis of skills and experience. Although I never studied any related courses, I was given abundance of practical knowledge from my father. The practical knowledge is a very important asset more than the theoretical knowledge that we get from the educational courses.” says Shiv Kumar Soni, who has been the major reason to scale the business to numerous branches, with 50 core designers and 500 other staffs. 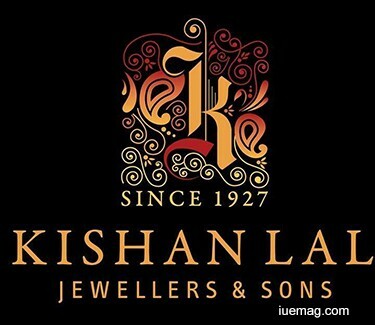 In addition to the quality, is the uniqueness of the designs that makes Kishan Lal Jewellers & Sons more special. Since the customers are all high-end, they are ensured to get a design which is unique. “Unlike other jewellers who repeat the patterns and designs for a certain time, we ensure that no design is repeated. We never repeat designs once it is created for a single jewel. No two customers of Kishan Lal Jewellers shall have the same design ever. Although it does take more time than regular to create them, it is worth when the customer is totally satisfied. This has been one of the reasons, that we have been able to retain the customers.” says Mr. Soni, with utmost pride. People’s satisfaction has been the major focus, that has led to success of the business. The team together believes that the customers are the brand marketers. The better the quality, the higher is the satisfaction and the promotion increases, which is the reason there is continuous focus on quality and improvisation in designs. Kishan Lal Jewellers & Sons also have designs for the variety of costumes that one wears. Ornaments for a western gown or for Indian sarees are created differently, with the costumes in mind. Launching its new store in Delhi, the business is expected to scale even at Bangalore and Kolkata in the near future. With 89 years of existence and still growing, the jewellers are bound to bring smiles on millions of faces; the continuous provision of happiness shall increase every day. With such jewellers existing in the industry, they are sure to inspire every other existing or upcoming jewellers and other entrepreneurs to work not just for money, but to build a genuine relation with the industry and its customers. Any facts, figures or references stated here are made by the author & don't reflect the endorsement of iU at all times unless otherwise drafted by official staff at iU. This article was first published here on 20th May 2016.